I heard the news that Loehmann's was going out of business, a sharp pain came across my frontal lobe and an ache hit me in my stomach. They call it an emotional blow, and it affects me whenever I hear bad news. 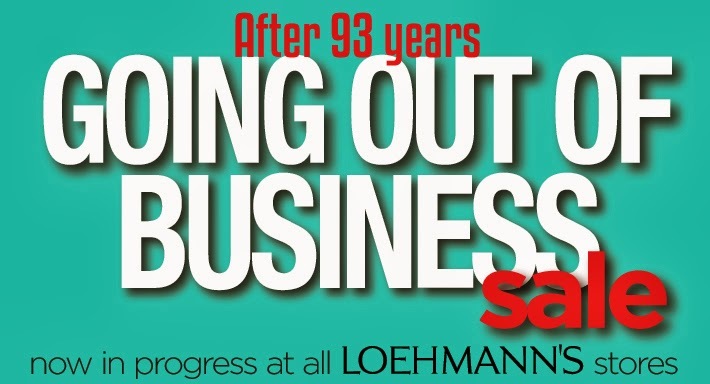 The closing of Loehmann's is much more than being a product of the economy or a failed business structure in this world of eCommerce and flash sales. The closing of Loehmann's shows that the bargain seeking customer who loves excellent quality and the therapeutic act of walking around a store is sadly dying as well. Designers are pushing vegan leather at leather prices and manufacturing goods in third world countries with luxury price points. Fast fashion stores like H&M are even abandoning their low price point and customers seem okay with standing in line for designer collaborations abnormally high price and poorly constructed goods. On a recent morning train ride I counted 20 pairs of faux leather shoes or boots another 15 vegan leather jackets and an innumerable amount of plastic bags being passed off as pocketbooks. We've become a society of tacky and cheap. Cheap as in the actual definition of low quality, not cheap as in discounted. Fast fashion is one of rapid turnover, YouTube shopping hauls, and young and old individuals being unable to differentiate natural fabris from man made. This I believe is partially to the decline of Loehmann's as well as the digital era, that Loehmann's could never quite get a share of. Off price retailers like Loehmann's and it's predecessors, Filene's and Daffy's were a mecca for women and some men who were hunters. That joke about the Jewish grandma who considered Loehmann's to be her temple, that is for a majority of New Yorkers including my own grandma who was not Jewish. Combing through racks, applying coupons and birthday discounts, waiting for final markdowns, those are all traits that are part of a dying breed. The act of pulling a designer coat off the rack, inspecting it, trying it on, recognizing the label, looking at the price tag, calculating your additional discount in your head. Having small talk with an older woman who appreciates your choice, admiring your good taste. Those are all things that can never be done with a click of your mouse. Where once shopping was a social experience, now window shopping and wish lists are shared on social media. 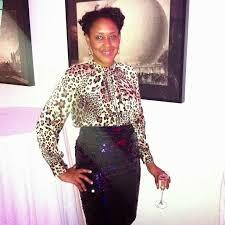 Grandma can only verbalize her like of a dress but on Instagram you can get a flood of likes from strangers and you don't have to even have to purchase it. Walk down any New York street and you'll see the United Nations of fast fashion. You have Top Shop from the UK, Mango and Zara from Spain, Scandinavia's H and M. When once we thought European and luxury were one of the same, now we look to Fifth Avenue full of teenagers, squealing at their cornucopia of polyester that they will tire of or won't fit after one wash. Loehmann's had become a victim of the times, a sort of dinosaur in a society low on fashion moral. A hyper consumerist vacuum of stuff. As the lights dim on Loehmann's I want to step foot and take advantage of the one last epic sale or do I lament on perfect past purchases and see what off price fashion has to offer. I do feel walking into Loehmann's will be like walking into a wake of a family friend, a well dressed family friend.